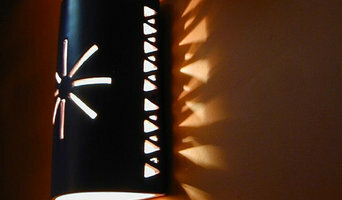 We produce handmade clay light sconces and coordinating tile address numbers as well as tile murals and decorative tiles for backsplashes and borders. Everything is made and fired in our studio, where we've been creating architectural ceramics for more than 30 years. At Gallery Direct we believe that fine art is for everyone. That is why we partner with over 90 exclusive artists - from photographers, to painters to mixed-media artists to bring you over 6,000 exclusive images to shop from across all genres of art. Have a specific image in mind? Shop our image bank of over 12 million images. From abstract to vintage to contemporary to photography, you can even upload your own image, at Gallery Direct you're sure to find the perfect image for your space. Texas Lightsmith is an Award Winning custom metal fabrication company. Whether you are looking for a chandelier, copper kitchen sink or custom bronze range hood we make each product to order in our studio in Austin, Texas. Our expert staff is always ready to work with you, your designer, custom home builder, or contractor to achieve the perfectly made custom copper, brass, bronze, nickel-silver (German nickel), stainless steel or wrought iron product you desire. In addition to tinsmithing, standard sheet metal, and wrought iron fabrication techniques, Texas Lightsmith regularly employs weaving of metal, repoussé, punching, and hammer forming to create a diverse design base for all projects. Since its inception, Texas Lightsmith has produced thousands of custom chandeliers, wall fixtures, vent hoods, hanging lanterns, fireplace screens, metal counter-tops, sinks and other exquisite and unique items. Keeping the work local and the quality high have been critical to our success. Texas Lightsmith does not support the outsourcing of U.S. work to underpaid foreign labor. Keeping the work in house allows us to keep close control on quality and the details essential to making custom work. All Texas Lightsmith products are handcrafted by local metal smiths, craftsmen, and artisans at the Texas Lightsmith studio in Austin, Texas. While the Texas Lightsmith standard line is ever-increasing, custom projects are welcome. 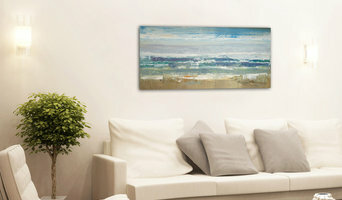 I'm an interior designer who creates custom artwork and accessories. For many years I could not find exactly the right items for creating my interiors, especially collections of work that were both new, exciting and would integrate together as multiple items - artwork, pillows, rugs, bed & bath and more. Now I am creating just these types of collections and using my artitst' eye to develop better and more interesting colors, patterns and finishes that I hope both individuals and other designers will enjoy! "Her keen eye for Design and finely honed craftsmanship lead more homeowners to seek out their own Susan Wallace piece of functional Art". -Austin American Statesman "Each custom screen door brings out the personality of the home and its owner in a way that says, come on in!" -Shelteriffic "We just thought the screen door would be a nice thing to look at, but it adds another dimension to the room we really didn't anticipate". -Happy Client . Muralist specializing in diverse custom wall murals for any room in the home. I love collaborating with my clients to create the most fabulous space possible. Visit www.MuralsByBecka.com for more information. Deborah Argyropoulos is an American artist whose studio is located in Austin, Texas. She has a strong collector base and gallery following for her abstract paintings on metal, glass, and canvas. Ms Argyropoulos is a major presence in the corporate, public, and interior design fine art industries with statement pieces hanging in buildings across the United States. Original Abstract Fine Art by Austin Artist, Julie Ahmad. Specializing in large, oversized and custom made paintings. Uninhibited and free, Ahmad's art bares no boundaries. 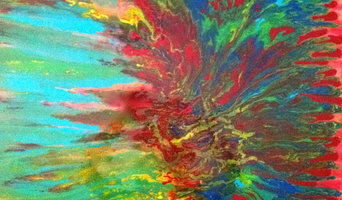 Her paintings manifest by inner guidance and are created intuitively. Each piece has it's own uniqueness capturing the energy of that moment from which is was created with paint on canvas. All of my original art can be purchased as a giclee print on high quality paper, canvas or metal. Please email me about pricing and sizing information. Avery O Design is a hand-painted graphic design business specializing in wall murals, painted furniture and other graphic art pieces for creative spaces. Avery's hand-painted graphic wall murals that transform nurseries, children’s rooms and other spaces into places that truly know how to hold their own. Avery O also refurbishes and adds hand-painted graphics to old or new furniture turning chairs, tables, dressers, and bookcases into functional pieces of art. Organically inspired artwork for Designer Interiors. 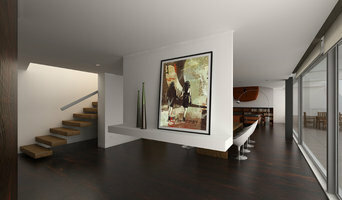 Artist statement: The Impact of original artwork for a space elevates the interior from semi custom to exclusive. When a person can obtain pieces that are both stunning and one of a kind there is a different level of satisfaction of the design. There is also a sense of individuality that no one else will have your same piece. I express my love for color and textures into large and imaginative compositions that indulge the level of the richness of a space. I encompass the design I love from an organic nature, I use people for my inspiration and it is reflected in the pieces I create. In compositions I bring in the modern elements to break up the expected and add levels to each images. The spaces, fabrics and designer's styles are the launch point for art pieces that are perfect for the space. I have been a practicing professional Interior Designer for over 15 years. My strengths in color and textures have lead to the creation of a line of extraordinary art for your home. Concierge Custom Artwork Services. I review images of the space, fabrics and create mock ups for you to review. We are going to have an interim appointment to go over the progress. If you are local we have a "wedding dress fitting" Where the piece is brought to the home and we talk about where the piece is and where we want to go with it. Then the pieces is delivered out to your or clients home. I am a visual artist. I work primarily with Oil Pastels & Resin. My genre is for the Adventurous Contemporary Art Collector. I draw from my experience in theater and dance for inspiration. All of my original pieces are coated in resin which makes framing unnecessary unless desired. All of these included pieces are available in Print form - either on Fine Art Paper or Canvas. Contact the artist for your specific needs. I am a fine art Equine Photographer. I create original artistic photographs that evoke emotional and powerful, equine, western lifestyle and landscape imagery.